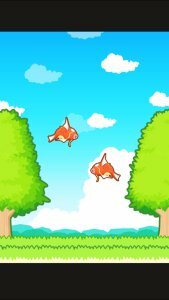 When your Magikarp is fully levelled, or at whatever point you do so desire, you may take your Magikarp to the league to compete with other characters who are trying to see how high their Magikarp can jump. There are seven different leagues to compete in, all with varying number of levels as well as increasingly strong Magikarp. When you have cleared a level, you use up Stamina. If you win, you get Stamina back. If you lose, you lose stamina and need to wait a while before you can go again, unless you use League Spray. Below is a list of all the leagues. Click the league name to go to its specific page for further details.